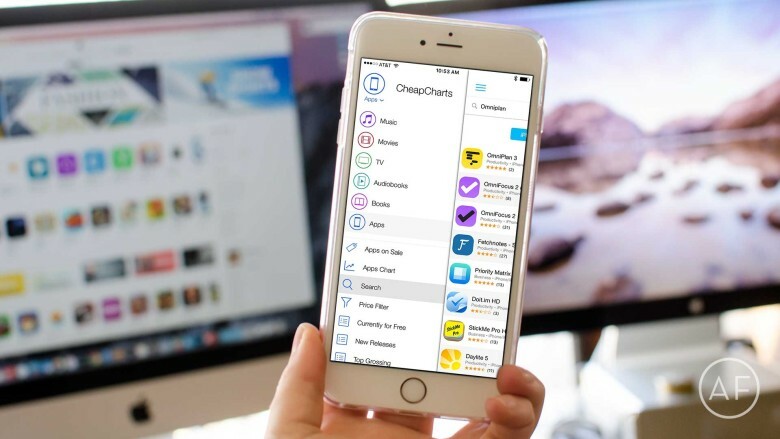 Launch the CheapCharts app and tap on the menu icon in the upper left hand corner. Find it in the results and tap on its name. Tap on the Add to Wishlist option towards the top. The first time you do this you’ll be asked if you want to allow CheapCharts to send you notifications of price drops, choose Activate. How to add apps to CheapCharts for notifications. That’s pretty much it. 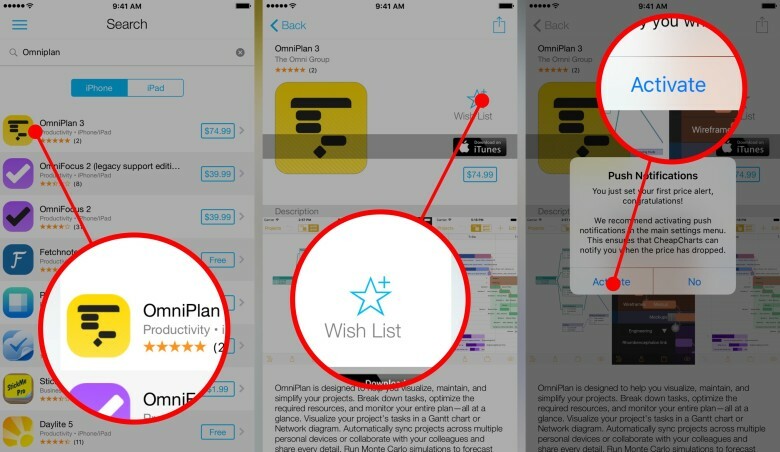 Any apps you add to your wishlist, you’ll get a push notification every time the price changes. I use this frequently for movies that are new releases. While they’re typically expensive right when they come out, they tend to drop in price fairly quickly. Not only that, around the holidays tons of iTunes movies and shows seem to go on sale. I was able to grab lots of movies that are normally priced at $20 or more for less than $10 using this app. I just took a few minutes to go through iTunes and transfer them to my CheapCharts wishlists. From there, I received a notifications based on whether I wanted them at specific times each day, or as price drops happened. CheapCharts has easily saved me over $50 in the past few months of using, if not more. Give it a try and let me know in the comments what you think!